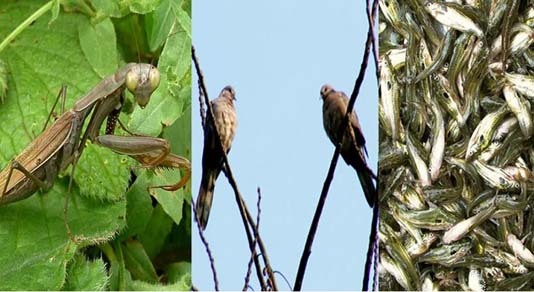 Experts have stressed on conservation of beneficial insects, indigenous species of birds, fishes and animals from extinction to maintain ecological balance in the nature. “Many useful insects, indigenous birds, animals and sweet water fishes are currently not being seen due to reduction of forest areas over the recent decades,” Senior Coordinator (Agriculture and Environment) of RDRS Bangladesh Mamunur Rashid said. Some other indigenous species of beneficial insects, birds, fishes and animals are facing impending threat now and their reproduction being hampered due to negative impacts of climate change creating imbalance in the nature. “The extinction process still continues due to reduction in forest areas, drying up of water bodies, rivers and tributaries and unsystematic use of chemical fertilisers and pesticides, change in soil properties and other reasons,” he said. Director of Begum Rokeya University unit of the Riverine People and Associate Professor of the university Dr Tuhin Wadud expressed concern over the deteriorating situation in the nature due to climate change. He said many species of migratory birds visited the country every year during winter since ancient times when adequate number of water bodies, marshy lands, ponds, canals, forests and hilly sanctuaries remained undisturbed. “However, we observed fewer numbers of migratory birds visiting vast char areas, rivers, ponds and other water bodies on the Brahmaputra basin in recent years though their number was high even two decades backs,” Tuhin added. Horticulture Specialist of the Department of Agriculture Extension (DAE) here Khondker Md Mesbahul Islam said the changing climate has affected ecological balance threatening existence of many useful insects, indigenous birds and sweet water fishes. “The encroachment of forest lands, felling of trees, drying-up and shrinking of water bodies and lack of proper managements and conservations of the rivers, tributaries and other water bodies are other reasons behind the situation,” Islam added. Deputy Director of the DAE at its regional office here Md Moniruzzaman said the changing climate has caused imbalance in the nature, extinction of beneficial insects and birds and scarcity of animal foods in forests reducing animal populations. As a result of ecological imbalance in the nature, animals like elephants are coming out of forests in search of food to plain areas of the Chittagong Hill Tracts, Kurigram, Jamalpur, Sherpur and other areas in the country to have foods. Currently, the utility of cultivable lands has been increased significantly with increased crop intensity to enhance crop productions for meeting food demand of the growing population. “All lands are under crop cultivation in all seasons and chemical fertilisers and pesticides are being used indiscriminately causing further ecological degradation and threatening existence of useful insects, birds and animals,” Moniruzzaman added. District Fisheries Officer Anisur Rahman said reduction in areas of the flood plains, open water bodies, breeding and grazing fields and drying and silting up of ponds, rivers and tributaries caused extinction of native sweet water fishes, insects and birds. The experts laid emphasis on taking adequate steps right now to conserve beneficial insects, indigenous species of birds, sweet water fishes and forest animals for maintaining ecological balance and bio-diversity in the nature for a better future.